Edward Marinzel is a Consultant at Command Group who has served in leadership posts in the U. S. Government and the private sector for the last quarter century and is internationally recognized as a leader in the areas of protective methodologies and security operations. Mr. Marinzel served as the Deputy Assistant Director of the United States Secret Service Office of Protective Operations, where he led the policy development and execution of the Secret Service’s protective mission and was responsible for the oversight of the Presidential and Vice Presidential Protective Divisions. 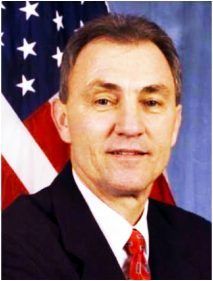 Before becoming Deputy Assistant Director, Mr. Marinzel served as a Special Agent in the United States Secret Service for 25 years and ultimately rose to the post of Special Agent in Charge (SAIC) of the Presidential Protective Division, a role in which he was directly and personally responsible for the safety and security of the President of the United States and the First Family.